BVSA Guatemala - Support Team - bvboys's JimdoPage! Allan Marroquin: Allan graduated from the 2015 BVSA class. In that year he was both our varsity MVP as well as leading scorer. But because of his development as a young man, and his heart for Christ and for his own community, we knew we wanted to bring him onto our team. Allan has a promising career as a soccer coach, and as a leader of young men. He now works for BVSA full-time in both capacities. He is also the head coach, and founder, of our girls program, "Las Rinas". Allan is married to his high-school sweetheart, Glendy, and they are expecting their first child in May of 2018. We hope to have Allan continue leading young Rhinos for many years to come! To support Allan, CLICK HERE and simply write "Allan" in the note of your check or paypal donation. Dennilson Lopez: Dennilson manages the facilities at BVSA. "Nicho" has maintained a high level of integrity throughout his career as a Rhino, and it is now a blessing to have him on staff. His humble spirit and hard-working attitude are his character traits that everyone notices right away. Currently, Nicho oversees the facilities at BVSA Guatemala. He does everything from maintenance, to cleaning, to general repairs. He is also obtained his mechanic certificate by studying on the weekends. 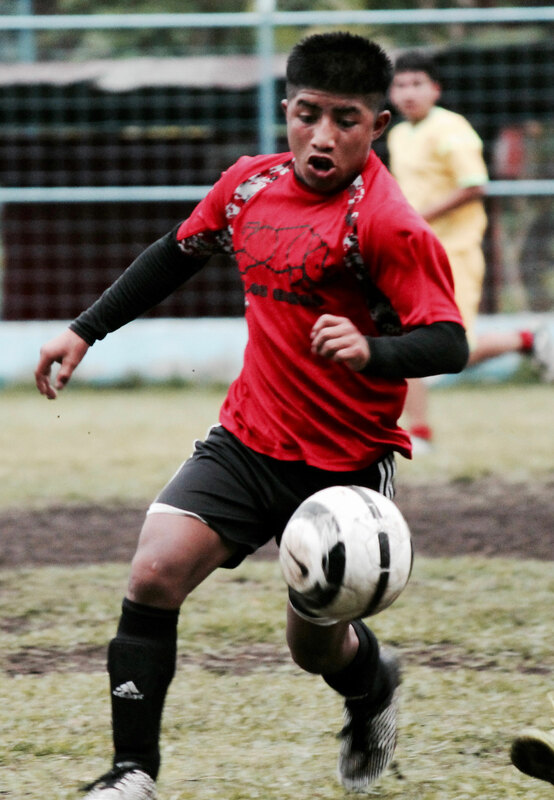 He also helps Allan train our girls team, "Las Rinas." Nicho has had a very difficult life; we've been through many ups and downs with him and his family over the last 7 years. Through it all he has developed a strong faith in the Lord, and we are excited to see how God continues to use him. To support Dennilson, CLICK HERE and simply write "Dennilson" in the note of your check or paypal donation. Darwin Ramos: Darwin is currently in his last year as a Rhino, while working part-time at BVSA. Without question, he is developing into a strong leader. He assists Dennilson with managing facilities, which includes doing anything from mowing grass, sweeping the gym and classrooms, and washing the team vans. What sets Darwin apart is his unique desire to serve others. Humble and helpful, he is always the first one to jump when something needs done. Its a quality that has earned him the opportunity to work for BVSA, and as he continues to grow we envision him transitioning into a leadership role. 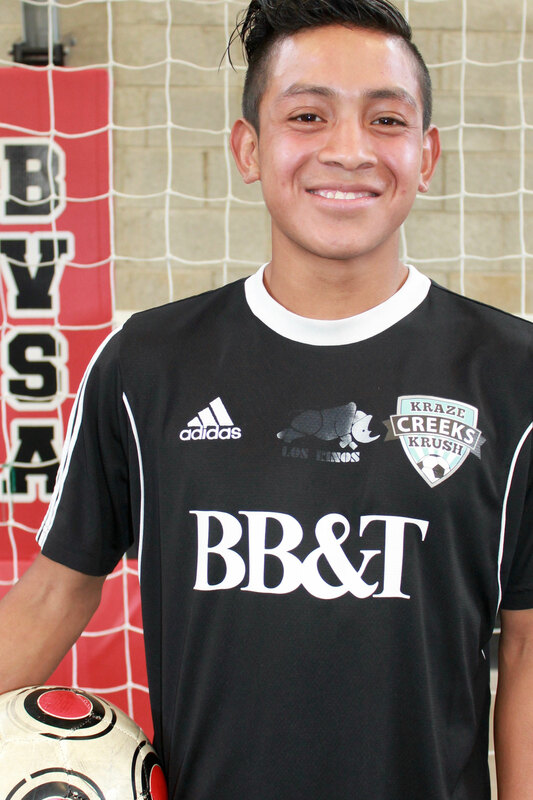 Darwin is currently 17 years old and an important member of the varsity Rhino's defense. To support Darwin, CLICK HERE and simply write "Darwin" in the note of your check or paypal donation. 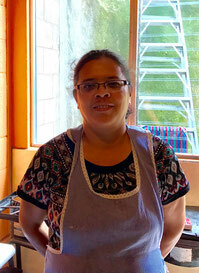 Johanna Herrera: Johanna has been with us as our lead cook for teams ever since we started back in 2008. She joined BVSA in 2012 and has been working full time for us ever since. Johanna and her husband Byron have been good friends to us for many years. They have 5 children. Johanna is a terrific cook! She loves the boys and is thankful for her job. In addition to running our feeding center ("the training table"), she still cooks for visiting mission teams when they are in town. To support Johanna, CLICK HERE and simply write "Johanna" in the note of your check or paypal donation.